Tough lookin’ bunch, aren’t they? If you had to choose between being the president of an proven, high level, mentally stimulating company versus a young start-up you could run in your sleep, which would you pick? For me, I was given the latter this past summer in the form of the Greenwood 9-10 year old B all-star team (aka The Gold Team aka the last picks, the misfits). After a bad B team experience of my own growing up, I felt I owed these kids a rewarding season. And rewarding it was. That little startup full of misfits ended up becoming the first undefeated B team in pool play in the history of Greenwood Little Baseball for any league. 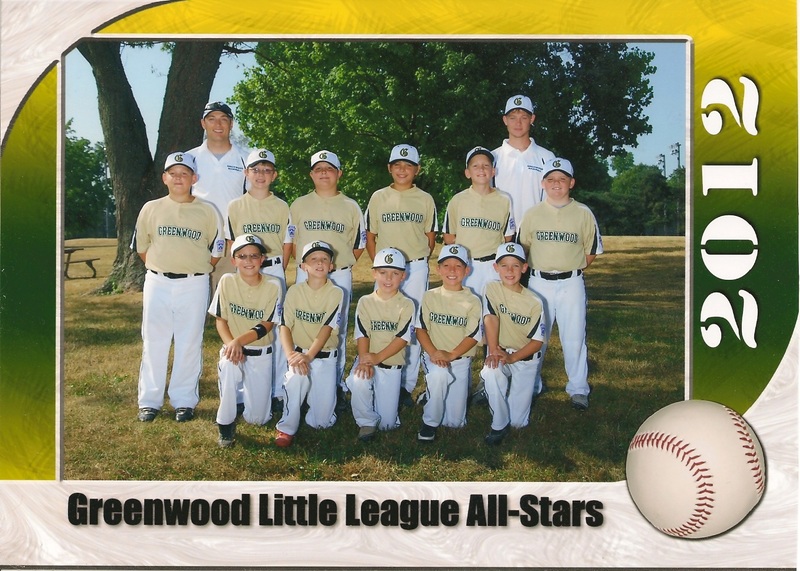 This team beat two respected A teams, one of whom was their peers, the Greenwood A team. But their coach could only hope and pray for any ounce of success after an awful first practice. With our unexpected success, I had to pause, reflect, and ask why we exceeded anybody’s guess at how far this team could go. Here’s what a few 9-10 year olds decided to teach me. 1. Start perfectionists off slow to build confidence and minimize frustrations. Strike one. A nine year old drops his head and pouts to himself. Foul Ball, strike two. “Come on!” he shouts in disgust. A few more missed swings, and my intended confidence-boosting batting practice turned into a teared up tirade. I tried positive reinforcement before, but it was about as far from effective as the bat was from the ball. What to do, what to do. I slowed down my pitches and made hitting the ball easier. Sure enough, a line drive eventually emerged and a slight grin followed. A few more pitches, and he was hitting the same speed at which we started. The boy left the batting cage geared up and ready for the game, which in my opinion, was more important than how many balls were hit. Some people need to begin slow to build confidence to handle the tougher situations; it’s just like short basketball shots before the long ones, easy math problems before the tough ones, etc. For perfectionist personalities, an immediate sink or swim approach will only cause too many discouraging failures and eventually cause them to give up. On the other hand, consider a strategy that warms up the engine so that eventually they will handle the same problem with grace that previously resulted in failure. 2. Explain to each player their place on the team, and why they are necessary to the team’s success. “Have you ever played catcher before?” is usually my first question to a new team member. Unfortunately my most promising catcher was also my best infielder and had caught very little that past season. When you take the best player from each team, just as you take the best performers from a series of companies, some people must step down and contribute outside their typical duties. Shortstops became third basemen while third and first basemen became outfielders. The amazing thing was that with encouragement and by showing each player how they fit best in their position to help the team win, they each slowly became good at their position to the point where they took pride in being where they were. I suddenly had players willing to play anywhere and do anything without any questions asked. They had purpose, they had something to call their own, and they loved it. This quality probably isn’t a foreign one to your successes. It was the Colts theme for a season and my own theme for many seasons. But when one truly believes something can happen, they will sacrifice to greater lengths than someone who only hopes it will happen. To acknowledge the potential for success is one thing, but to truly believe and buy in to your dream is another. 4. Choose people who love what they do. Another somewhat obvious trait of a successful individual is a passion for the task at hand. Hours of work to a passionate person are only hours of enjoyment and leisure. My kids didn’t have the fun sucked out of the game yet and begged for more practices. “Coach, CAN we practice tomorrow?? ?” They were pleading me to give them practice upon hearing about a day off. Even in one hundred degree Sandlot-like heat (okay they did drag a little), they still had the enthusiasm as if it were the middle of May. When you love what you do, you tend to forget about the competition and only focus on your work in front of you. Observing the competition may be great for research, but it can cause a team’s confidence to dissipate instantly. Sure, I heard kids saying “wow they’re big” and “they must be good if they’re the A team” (which is where a coach will instill confidence and distract them with more preparatory drills, of course), but when it came down to the wire, they were still just doing the thing they loved: play baseball. Because they never acknowledged the talent of the competition and focused only on what they could control, I think we were much calmer in pressure situations. Chemistry is vital to a team’s success. The implied trust players assume amongst each other will make or break a team. You can see this “sixth sense” connection on a Miami Heat fast break, or a good-cop-bad-cop situation, or even two parents in a guiding argument with their child. The knowing of what your teammate will do next is something spectacular. But this chemistry does not come easy, especially when you have three weeks with a group of kids from multiple elementary schools and regular season teams. Mixing up scrimmage teams, pairing different players in the cages, and an All Star Game pizza party before the tournament built the on and off the field bonds necessary to overcome tough situations and pick the other player up when most needed. Being a B team with low expectations certainly helped. No pressure from Greenwood Little League, no pressure from your parents, no pressure from being the one supposed to have crossed the plate less times than the opposition. But there are a million B teams out there including my own losing all star seasons. What separated these kids from the rest this year was not only talent, but having a purpose on the team, believing in themselves, and sharing a true passion for the game. A passion I asked them to never forget, because I knew future seasons could be long, enduring ones, and anything forced long enough can dull the once burning fire for the game. 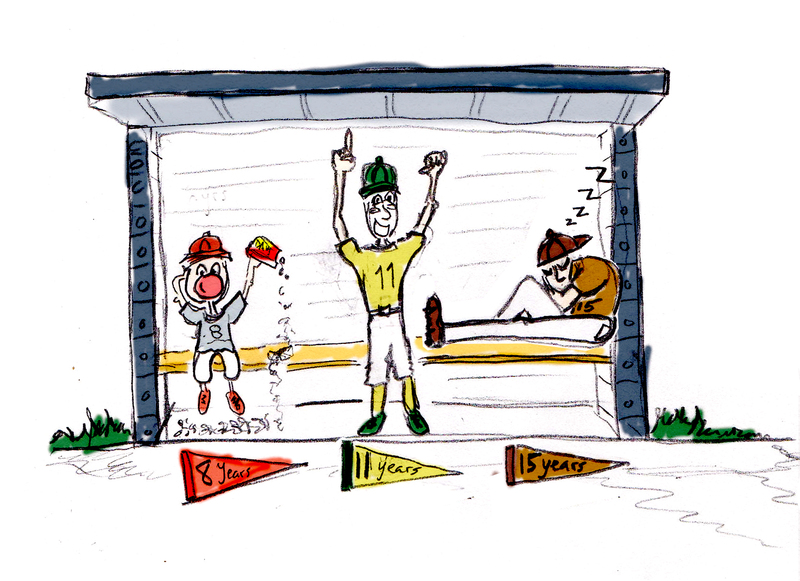 Somewhere between age 11 and age 15, kids forget how to have fun playing the game they used to love. Don’t forget how to love your game. Remember your game can be fun – there’s always a way to enjoy what you do, whether that enjoyment hides in the success of subtleties or it derives from a big picture win. If you wake up one day and you’re not satisfied with what you do, take yourself back to your little league and find a way to make it fun again. You play to win the game, but it’s only a game if it’s fun.